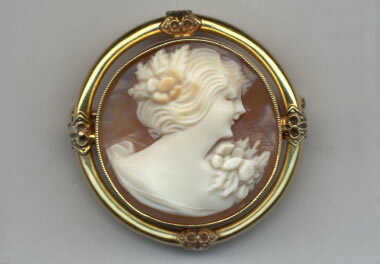 Gold in jewelry: Cameo in gold setting. Image copyright iStockphoto / Angelo Marcantonio. Of all the minerals mined from the Earth, none is more useful than gold. Its usefulness is derived from a diversity of special properties. Gold conducts electricity, does not tarnish, is very easy to work, can be drawn into wire, can be hammered into thin sheets, alloys with many other metals, can be melted and cast into highly detailed shapes, has a wonderful color and a brilliant luster. Gold is a memorable metal that occupies a special place in the human mind. Gold nuggets: Gold nuggets found in a stream can easily be hammered into shapes, combined, and worked with primitive tools into ornamental objects. When Spanish explorers first arrived in the "New World" they met the native South Americans. These two cultures had been separated by a vast ocean, they had never touched one another, they spoke different languages and lived entirely different lives. Yet they had one thing in common - they both held gold in highest esteem and used it to make some of their most important objects. Throughout the history of our planet, almost every established culture has used gold to symbolize power, beauty, purity, and accomplishment. Today we continue to use gold for our most significant objects: wedding rings, Olympic medals, Oscars, Grammys, money, crucifixes and ecclesiastical art. No other substance of the same rarity holds a more visible and prominent place in our society. Gold ring: Gold ring with colored stone. Image copyright iStockphoto.com / Krzysztof Gorski. 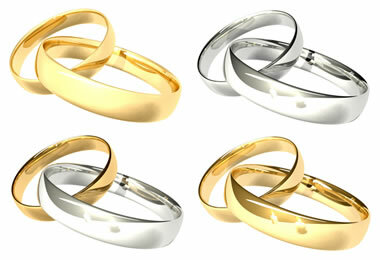 Gold rings: Gold rings of different color. Image copyright iStockphoto.com / Martin McCarthy. Colors of gold-silver-copper alloys: Different metal colors that can be produced by alloying different amounts of gold, silver, and copper. Image by Metallos, used here under a GNU Free Documentation License. Gold has been used to make ornamental objects and jewelry for thousands of years. 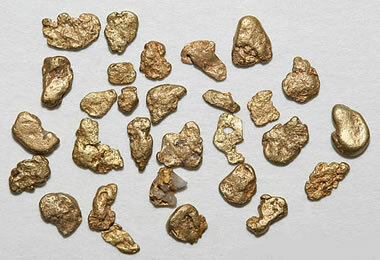 Gold nuggets found in a stream are very easy to work and were probably one of the first metals used by humans. Today, most of the gold that is newly mined or recycled is used in the manufacture of jewelry. About 78% of the gold consumed each year is used in the manufacture of jewelry. Special properties of gold make it perfect for manufacturing jewelry. These include: very high luster; desirable yellow color; tarnish resistance; ability to be drawn into wires, hammered into sheets, or cast into shapes. These are all properties of an attractive metal that is easily worked into beautiful objects. Another extremely important factor that demands the use of gold as a jewelry metal is tradition. Important objects are expected to be made from gold. Pure gold is too soft to stand up to the stresses applied to many jewelry items. Craftsmen learned that alloying gold with other metals such as copper, silver, and platinum would increase its durability. Since then most gold used to make jewelry is an alloy of gold with one or more other metals. The alloys of gold have a lower value per unit of weight than pure gold. A standard of trade known as "karatage" was developed to designate the gold content of these alloys. Pure gold is known as 24 karat gold and is almost always marked with "24K". An alloy that is 50% gold by weight is known as 12 karat gold (12/24ths) and is marked with "12K". An alloy that contains 75% gold by weight is 18 karat (18/24 = 75%) and marked "18K". In general, high-karat jewelry is softer and more resistant to tarnish, while low-karat jewelry is stronger and less resistant to tarnish - especially when in contact with perspiration. 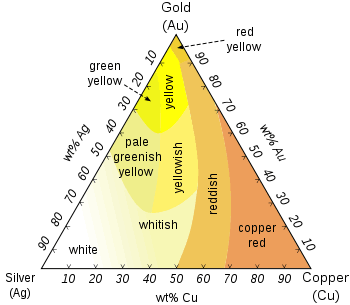 Alloying gold with other metals changes the color of the finished products (see illustration). An alloy of 75% gold, 16% silver and 9% copper yields yellow gold. White gold is an alloy of 75% gold, 4% silver, 4% copper and 17% palladium. Other alloys yield pink, green, peach and even black-colored metals. 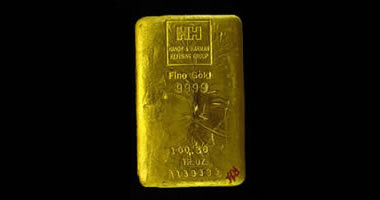 Gold bullion: Fine gold metal is usually cast into small bars for easy handling, exchange, and storage. USDOJ Image. 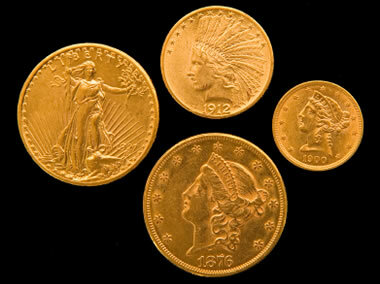 Gold coins: United States Gold Coins. Image copyright iStockphoto / Donald Swartz. Because gold is highly valued and in very limited supply, it has long been used as a medium of exchange or money. The first known use of gold in transactions dates back over 6000 years. Early transactions were done using pieces of gold or pieces of silver. The rarity, usefulness, and desirability of gold make it a substance of long-term value. Gold works well for this purpose because it has a high value, is durable, portable, and easily divisible. Some early printings of paper money were backed by gold held in safekeeping for every unit of money that was placed in circulation. The United States once used a "gold standard" and maintained a stockpile of gold to back every dollar in circulation. Under this gold standard, any person could present paper currency to the government and demand in exchange an equal value of gold. The gold standard was once used by many nations, but it eventually became too cumbersome and is no longer used by any nation. The values above are estimated gold production in metric tons. Data from USGS Mineral Commodity Summaries. The gold used as a financial backing for currency was most often held in the form of gold bars, also known as "gold bullion." The use of gold bars kept manufacturing costs to a minimum and allowed convenient handling and storage. Today many governments, individuals, and institutions hold investments of gold in the convenient form of bullion. The first gold coins were minted under the order of King Croesus of Lydia (a region of present-day Turkey) in about 560 BC. Gold coins were commonly used in transactions up through the early 1900s, when paper currency became a more common form of exchange. Gold coins were issued in two types of units. Some were denominated in units of currency, such as dollars, while others were issued in standard weights, such as ounces or grams. Today gold coins are no longer in wide use for financial transactions. However, gold coins issued in specific weights are popular ways for people to purchase and own small amounts of gold for investment. Gold coins are also issued as "commemorative" items. Many people enjoy these commemorative coins because they have both a collectible value and a precious metal value. 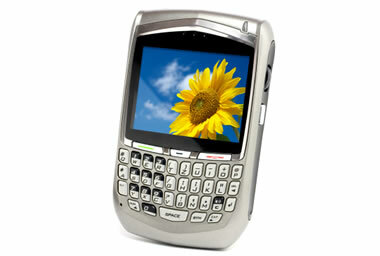 Gold use in electronics: Gold parts are used in cell phones and many other electronics. Image copyright iStockphoto / Matjaz Boncina. The most important industrial use of gold is in the manufacture of electronics. Solid state electronic devices use very low voltages and currents which are easily interrupted by corrosion or tarnish at the contact points. Gold is the highly efficient conductor that can carry these tiny currents and remain free of corrosion. Electronic components made with gold are highly reliable. Gold is used in connectors, switch and relay contacts, soldered joints, connecting wires and connection strips. A small amount of gold is used in almost every sophisticated electronic device. This includes cell phones, calculators, personal digital assistants, global positioning system (GPS) units, and other small electronic devices. Most large electronic appliances such as television sets also contain gold. One challenge with the use of gold in very small quantities in very small devices is loss of the metal from society. Nearly one billion cell phones are produced each year, and most of them contain about fifty cents worth of gold. Their average lifetime is under two years, and very few are currently recycled. Although the amount of gold is small in each device, their enormous numbers translate into a lot of unrecycled gold. 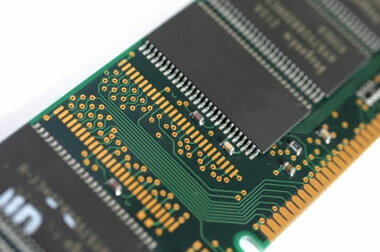 Gold computer connections: Gold in a computer memory chip. Image copyright iStockphoto / Teresa Azevedo. Gold is used in many places in the standard desktop or laptop computer. The rapid and accurate transmission of digital information through the computer and from one component to another requires an efficient and reliable conductor. Gold meets these requirements better than any other metal. The importance of high quality and reliable performance justifies the high cost. Edge connectors used to mount microprocessor and memory chips onto the motherboard and the plug-and-socket connectors used to attach cables all contain gold. The gold in these components is generally electroplated onto other metals and alloyed with small amounts of nickel or cobalt to increase durability. Dental gold: A crown made from dental gold alloy. Image copyright iStockphoto / choicegraphx. How would iron work as a dental filling? Not very well... your dentist would need blacksmithing tools, your smile would be rusty a few days after a filling, and you would need to get used to the taste of iron. Even at much higher expense, gold is used in dentistry because of its superior performance and aesthetic appeal. Gold alloys are used for fillings, crowns, bridges, and orthodontic appliances. Gold is used in dentistry because it is chemically inert, nonallergenic, and easy for the dentist to work. Gold is known to have been used in dentistry as early as 700 B.C. Etruscan "dentists" used gold wire to fasten replacement teeth into the mouths of their patients. Gold was probably used to fill cavities in ancient times; however, there is no documentation or archaeological evidence for this use of gold until a little over 1000 years ago. Gold was much more generously used in dentistry up until the late 1970s. The sharp run-up of gold prices at that time motivated the development of substitute materials. However, the amount of gold used in dentistry is starting to rise again. Some motivation for this comes from concerns that less inert metals might have an adverse effect on long-term health. 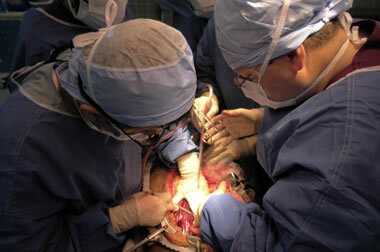 Medical uses of gold: Gold is used in some surgical instruments. Image copyright iStockphoto / atbaei. Gold is used as a drug to treat a small number of medical conditions. Injections of weak solutions of sodium aurothiomalate or aurothioglucose are sometimes used to treat rheumatoid arthritis. Particles of a radioactive gold isotope are implanted in tissues to serve as a radiation source in the treatment of certain cancers. Small amounts of gold are used to remedy a condition known as lagophthalmos, which is an inability of a person to close their eyes completely. This condition is treated by implanting small amounts of gold in the upper eyelid. The implanted gold "weights" the eyelid, and the force of gravity helps the eyelid close fully. Radioactive gold is used in diagnosis. It is injected in a colloidal solution that can be tracked as a beta emitter as it passes through the body. Many surgical instruments, electronic equipment, and life-support devices are made using small amounts of gold. Gold is nonreactive in the instruments and is highly reliable in the electronic equipment and life-support devices. 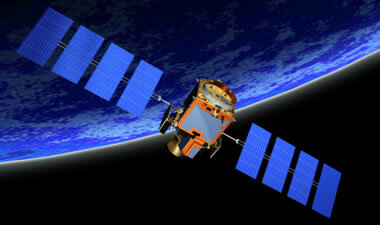 Gold use in aerospace: Gold is used in satellite components. Image copyright iStockphoto / pete stopher. 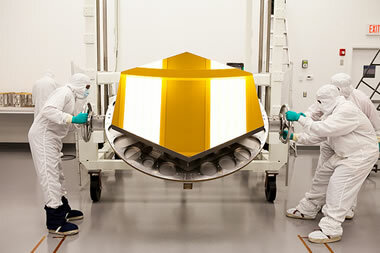 Gold-coated telescope mirror: Photo of one of the James Webb Space Telescope's primary mirror segments being coated with gold by Quantum Coating Incorporated. Photo by Drew Noel, NASA. If you are going to spend billions of dollars on a vehicle that when launched will travel on a voyage where the possibility of lubrication, maintenance and repair is absolutely zero, then building it with extremely dependable materials is essential. This is exactly why gold is used in hundreds of ways in every space vehicle that NASA launches. Gold is used in circuitry because it is a dependable conductor and connector. In addition, many parts of every space vehicle are fitted with gold-coated polyester film. This film reflects infrared radiation and helps stabilize the temperature of the spacecraft. Without this coating, dark colored parts of the spacecraft would absorb significant amounts of heat. Gold is also used as a lubricant between mechanical parts. In the vacuum of space, organic lubricants would volatilize and they would be broken down by the intense radiation beyond Earth's atmosphere. Gold has a very low shear strength, and a thin film of gold between critical moving parts serves as a lubricant - the gold molecules slip past one another under the forces of friction and that provides a lubricant action. Gold use in awards: Gold Medal. Image copyright iStockphoto / Olivier Blondeaui. What metal is used to make the crown worn by a king? Gold! This metal is selected for use because gold is THE metal of highest esteem. It would make no sense to make a king's crown out of steel - even though steel is the strongest metal. Gold is chosen for use in a king's crown because it is the metal associated with highest esteem and status. Gold is associated with many positive qualities. Purity is another quality associated with gold. For this reason, gold is the metal of choice for religious objects. Crosses, communion ware, and other religious symbols are made with gold for this reason. 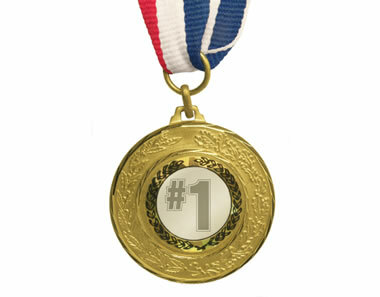 Gold is also used as the first place winner's medal or trophy in almost any type of contest. First-place winners at the Olympic Games are given gold medals. The Academy Awards Oscars are gold awards. Music's Grammy Awards are made of gold. All of these important achievements are honored with awards made of gold. 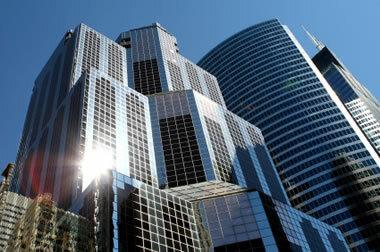 Gold used in glass: Gold is used in specialty building glass. Image copyright iStockphoto / Cezar Serbanescu. Gold has many uses in the production of glass. The most basic use in glassmaking is that of a pigment. 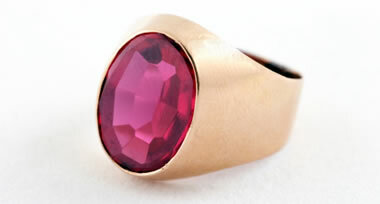 A small amount of gold, if suspended in the glass when it is annealed, will produce a rich ruby color. Gold is also used when making specialty glass for climate-controlled buildings and cases. A small amount of gold dispersed within the glass or coated onto the glass surface will reflect solar radiation outward, helping the buildings stay cool in the summer, and reflect internal heat inward, helping them stay warm in winter. The visor on the helmet of an astronaut's space suit is coated with a very thin film of gold. This thin film reflects much of the very intense solar radiation of space, protecting the astronaut's eyes and skin. Gold church dome: Gold dome of a church. Image copyright iStockphoto / Constantine Vishnevsky. Gold has the highest malleability of any metal. This enables gold to be beaten into sheets that are only a few millionths of an inch thick. These thin sheets, known as "gold leaf" can be applied over the irregular surfaces of picture frames, molding, or furniture. Gold leaf is also used on the external and internal surfaces of buildings. This provides a durable and corrosion-resistant covering. 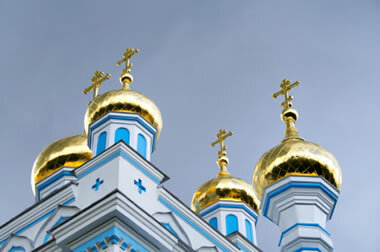 One of the most eye-catching uses of gold leaf is on the domes of religious buildings and other important structures. The cost of this "roofing material" is very high per square foot; however, the cost of the gold is only a few percent of the total project cost. Most of the cost goes to the labor of highly skilled artisans who apply the gold leaf. 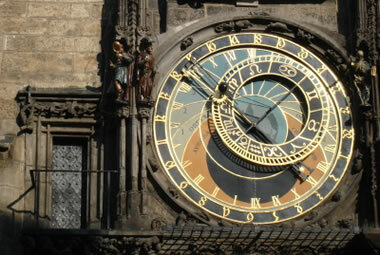 Prague orloj: Prague Astronomical Clock in the Czech Republic. Image copyright iStockphoto / Kelly Borsheim. Gold is too expensive to use by chance. Instead it is used deliberately and only when less expensive substitutes cannot be identified. As a result, once a use is found for gold it is rarely abandoned for another metal. This means that the number of uses for gold have been increasing over time. Most of the ways that gold is used today have been developed only during the last two or three decades. This trend will likely continue. As our society requires more sophisticated and reliable materials, our uses for gold will increase. This combination of growing demand, few substitutes, and limited supply will cause the value and importance of gold to increase steadily over time. It is truly a metal of the future. Gold: Mineral Commodity Summaries, United States Geological Survey. Updated annually. 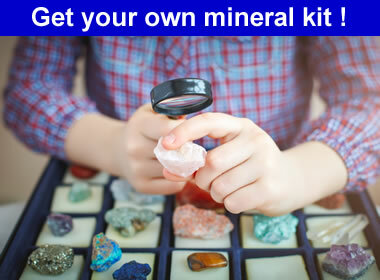 Gold: Minerals Yearbook, United States Geological Survey. Updated annually. Gold.org: Website of the World Gold Council. GoldPrice.org: Spot and historic prices of gold. Updated continuously. Because of its rarity and high price, manufacturers are always looking for ways to reduce the amount of gold required to make an object or substitute a less expensive metal in its place. Base metals clad with gold alloys have long been used as a way to reduce the amount of gold used in jewelry and electrical connections. These items are constantly being redesigned to reduce the amount of gold required and to maintain their utility standards. Palladium, platinum, and silver are the most common substitutes for gold that closely retain its desired properties.